Kathrin Eckhardt has 12 years experience as a fashion stylist and writer. After six years in the fashion department of NZZ am Sonntag / Stil and her studies in Social and Communication Sciences at the University of Lucerne she started to work as a self-employed fashion stylist and writer for national and international clients. Her knowledge of the fashion industry and her aesthetic education has a strong foundation. Looking for a new challenge, Kathrin Eckhardt decided to start designing her own, all handmade Studio line with a social impact in Ghana. 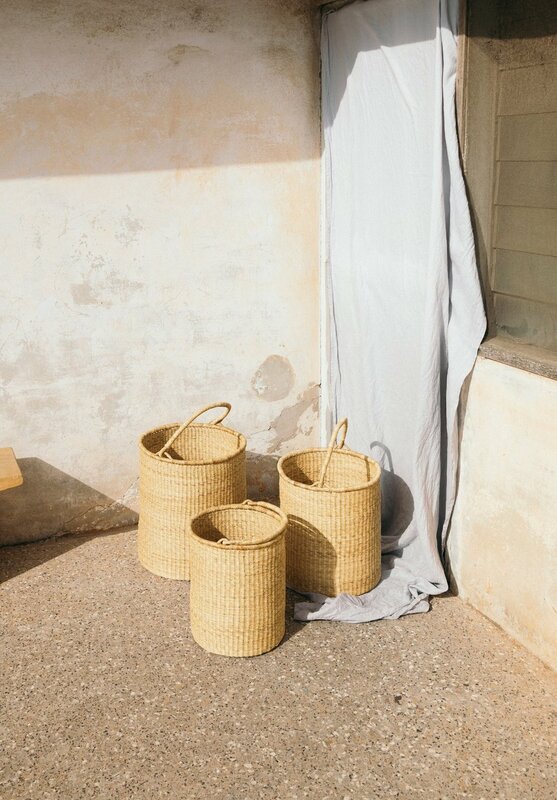 The craftsmanship and beauty of the Ghanaian culture fascinates and inspires her. The Swiss Designer combines contemporary European designs with African craftsmanship, using local resources and crafts to create a collection that unites both worlds. The limited resources and possibilities of West Africa are what the collection thrives on.